ANDERSON, Ind. — An Indiana woman has been charged with feticide and involuntary manslaughter after she allegedly took methamphetamine and other drugs while pregnant, which authorities state resulted in the child being stillborn. Kelli Leever-Driskel, 34, was officially charged on Wednesday following the December birth, and faces three to twenty years behind bars if convicted. According to Fox 59, a man called 911 on Dec. 23 to report that Leever-Driskel had birthed a baby. The child, a boy, was not alive. Leever-Driskel allegedly told police that she had been sleeping, and when she woke up, she saw that she had delivered her baby. An autopsy revealed that Leever-Driskel’s son died from a separation of the placenta from the uterine lining. Toxicology tests also found seven different drugs in the baby’s blood, including methamphetamine, fentanyl, clonazepam and diphenhydramine. Prosecutors initially wanted to charge Leever-Driskel with murder, but said that the question was, “[D]id the taking of the drugs cause the rupturing of the placenta?” Police state that the woman continued taking drugs after realizing in November that she was pregnant. “We asked for an extension to evaluate the case with specific telephone conversations with the pathologist. I reached a conclusion that [I] was unable to prove a knowing or intentional murder in that there are a number of ways that this child died with the injury to the placenta,” Madison County Prosecutor Rodney Cummings told Fox 59. 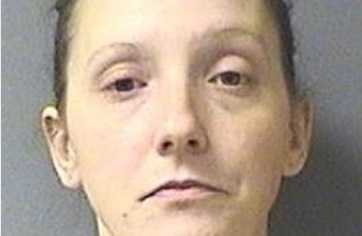 Therefore, Leever-Driskel was charged with feticide and involuntary manslaughter. He expressed sorrow over the number of babies that are found to have illicit drugs in their system. According to the Herald Bulletin, Leever-Driskel’s baby was named Markel, and weighed four pounds, five ounces. As previously reported, the National Safety Council recently reported that the national opioid crisis is one of the main reasons for the “unprecedented spike” in preventable deaths in 2016, the latest year tallied by the organization. “Unintentional opioid overdose deaths totaled 37,814 from drugs including prescription opioid pain relievers, heroin and illicitly-made fentanyl,” the council noted. The U.S. Centers for Disease Control and Prevention (CDC) announced last February that drug overdose deaths have nearly tripled over a period of almost two decades, as an estimated 16 out of every 100,000 Americans lost their lives from an overdose in 2015, compared to 6 in 1999.